This thing is still surprislngly difficult to get good photos of. The Laowa 15mm macro has been super good for it thought. The shift comes out way better than using corrections in LR or PS. The model now includes more interior elements and textures. 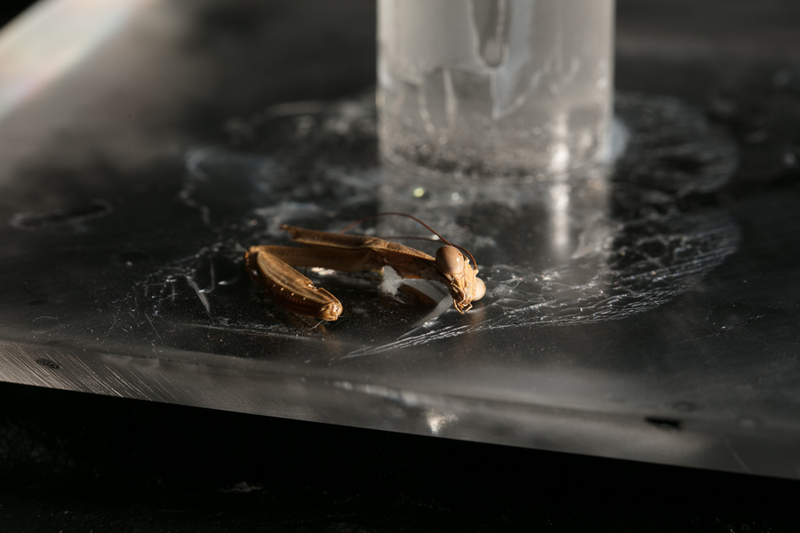 Two more mantises died this week (in addition to the male that got bit in half from the previous post) , an adult female Chinese Mantis and an adult male Carolina Mantis. I tried to hang/mount the Chinese Mantis by just her wings but the wings proved to be far to fragile so more mantis parts for the parts jar. The Carolina got hung by his right arm. I'm worried again about it all being far to fragile but I'll have to wait till the weekend (when I can take the weights off) to find out. His base isn't completed yet. I'm making a basin that the rod and base will go in to fill with ferrofluid and mantis parts.